For the past three years, Tommy T has been the bass player for gypsy punk powerhouse Gogol Bordello. Tommy was born and raised in Ethiopia and the knowledge of global rhythms he brings to Gogol’s sound has become part of their unclassifiable approach to music. 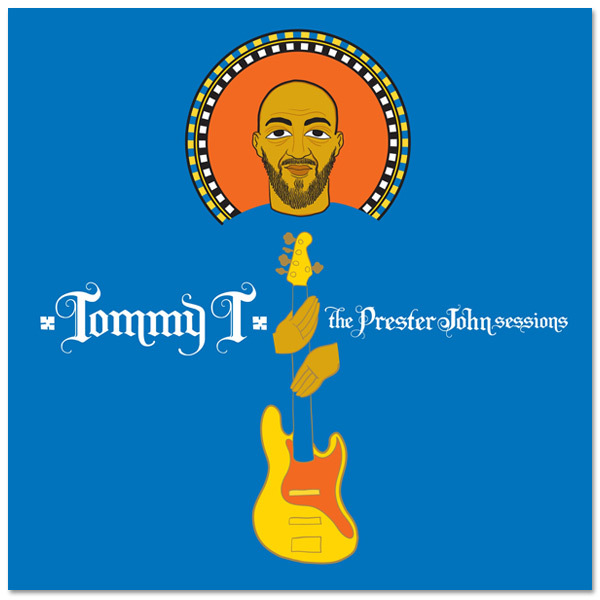 Tommy’s first solo effort, The Prester John Sessions, is an aural travelogue that ranges freely through the music of Ethiopia. The album is a collection of 11 songs including a remix featuring fellow Gogol Bordello band mates Eugene Hutz and Pedro Erazo and mixed by Michael Goldwasser of the Easy Star All-Stars. The record also features two collaborations with Gigi, one of the most popular modern Ethiopian singers. It was mixed by Victor Van Vugt (Gogol Bordello, Nick Cave).